What is the NTUC doing at a PAP Party Convention? The bi-annual PAP party conference is really an election. Every two years, thousands of “inner members”, otherwise known as “cadre members” get together to vote on the Central Executive Committee. It is significant – the Chairman and the Secretary General of the CEC are significant positions. The Sec-Gen will most likely hold the position of Prime Minister. Each year, selected guests are invited to grace the award presentation segment of the conference. One of these guests is the NTUC. To understand why the NTUC attends this significant event, one needs to have an understanding of their history. The work of the NTUC and its affiliated unions is to protect and advance the interests of the workers of Singapore. This has been their charge since day one. 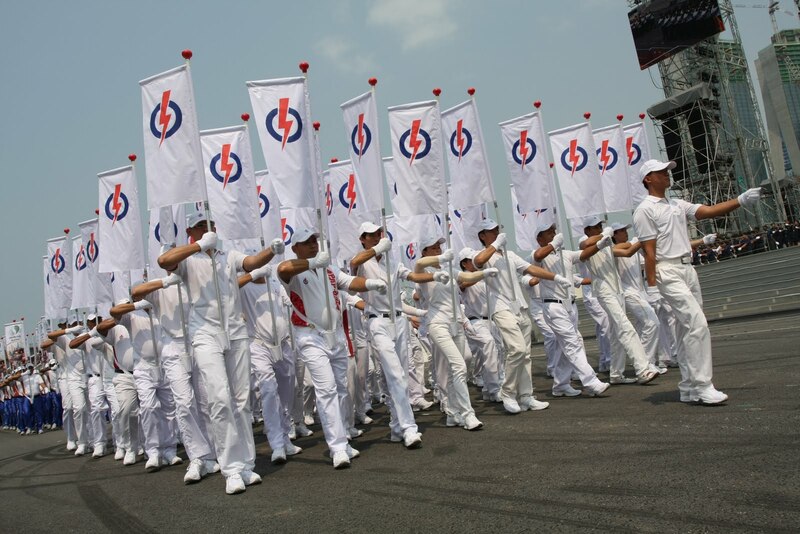 Having seen militant unions disrupt growth and destroy jobs in the 1950s and 1960s, the NTUC believes a constructive brand of trade unionism and tripartism was the best route to progression. With a strong group of trade union representatives within the ranks of the PAP, both organisations worked collaboratively to advance nation and worker’s interests. On the 6th of September 1961, several PAP stalwarts led the formation of the National Trades Union Congress. The direct result of this shared effort between the NTUC and the PAP enabled Singaporeans to have meaningful jobs and lead purposeful lives. Over the years, MPs from the Labour Movement gave the workers a voice in Parliament, resulting in a more effective labour organisation. They are responsible to the unions, members and workers at large, expressing their concerns and aspirations and speak up for balanced government policies that are both pro-business and pro-worker. As Singapore progressed, the relationship between the NTUC and the PAP became known as a “symbiotic relationship”. Although each is independent of the other, both will collaborate and work with each other for the common interest in advancing the welfare of the Singaporean worker. The ceremonial practices of attending each other’s key events are also symbolic of this relationship. As long as the PAP continues to pursue policies that are in the interests of Singaporeans, and as long as the NTUC continues to fight for the welfare of Singaporean workers, it is quite likely the partners in nation building will continue their advancement. …and that is why there is a presence of NTUC leaders at a PAP Party Conference!